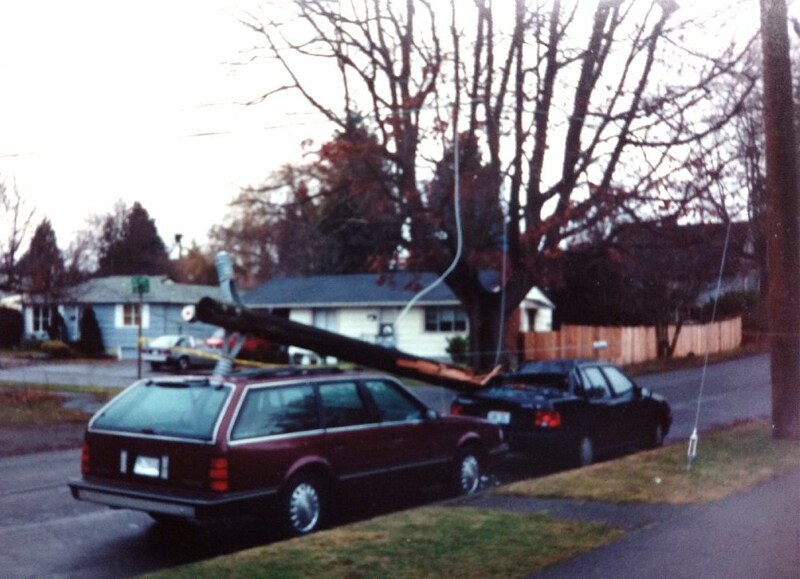 Cars along NE 77th Street in the aftermath of the Inaugural Day Storm, January 20, 1993. In the background is the scarlet oak tree on the corner of 38th Ave NE. Photo by Valarie.